Thanks to this cordless drill being extra powerful (20V vs. my old 12) but still in a compact package, it's my new favorite toy. 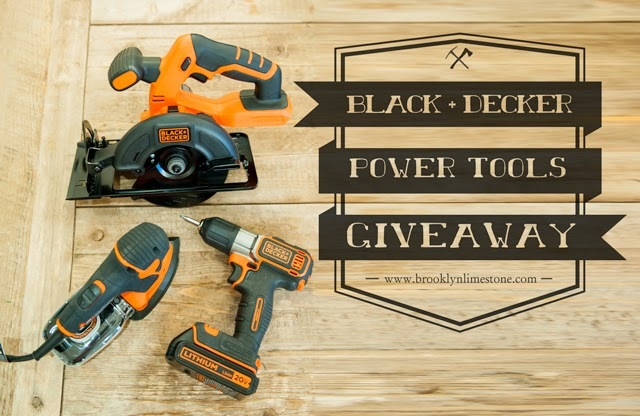 So I'm absolutely overjoyed to be able to host this giveaway with Black + Decker. The prize is a 3 piece power tool set that includes that includes a circular saw, sander and a cordless drill for one lucky winner. And yes, that is glitter on my drill handle. That's just how I roll. Enter using the widget below. I'll draw a winner next week. Thanks so much Becca! That was so sweet of you. This is a great set if you are new to power tools - good luck. First thing I'd make would be a headboard! First thing I'd make is shelving! Probably the first project I'd tackle is to use the sander when staining some trim. I met press my husband into service to build some shelves in our family room, too. I would be really nice to upgrade our cordless drill, ours is on it's last legs. I would use these tools to put crown molding throughout my condo. Add some moldings to the closet doors once sanded and prepped for new paint. I'd make the upholstered headboard I've been dreaming of making for ages! I would love to build a headboard, we have been lacking one for 7 years! just got a new to me table. it has a solid 2" wood top which needs refinishing and that sander is just the tool to help me do it! thanks for the giveaway! Best giveaway in a very long time! What a great giveaway! I would love to build a shelf for my laundry room! Love! We are so in need of this. We are going to make a reusable tree out of dowels this year. First...we need to buy tools. I'd love to make some DIY shelves in the kids room! Next on my list: floating shelves for the office, open shelving for the kitchen, and a countertop compost bin! I'll take that sander to the kitchen and bathroom cabinets, which have so many layers of old paint they don't close! Next up: wood wrapping the fauxdenza in my new grow'd up living room! My next project is cutting and installing all new molding for our den! Not sure - we are planning to buy our first house next year, and I know there will be lots of projects to tackle! We really need to get our garage organized! I'm thinking a peg board and work bench are in order. Awesome giveaway! Would love to get my hands on these tools and start the board and batten in the hallway! Love the box you made. I'd start with a tool organizer. I have a few, and can never find them when needed. My goal in 2015 is to use power tools and make some things! Awesome giveaway! I'd totally make giant marquee lights as I've been wanting some for ages. I would give it to my son. He participates in Roborodentia each year at Cal Poly. He builds and programs a robot to do required tasks. It requires lots of tools and work. would love to give it to my husband! I would like to make a reclaimed wood frame for my new bathroom! I'd like to try my hand at some of these boxes. Something for my future son's nursery! I had already added two of the tools to a wish list! Love girls that can handle glitter and power tools! A headboard for the master bedroom. Thanks for the giveaway!!! I'd love to try and make a closet organizer using the cordless circ saw (& drill). Such a pain to drag out the big corded one. I've been looking for a sofa table - I wonder if I could make one with the help of these tools!? Sad to say this is all for my husband... he would love some new tools! Probably for something in our kids' rooms. I have a few DIY projects around the house I've been putting off because I needed a circular saw. We are wanting to do a great deal of mill work in a builder's grade home we just purchased. These tools would certainly make a difference! Love your blog! If I am the lucky winner I will use these great tools to finish my kid's closet project! Thank you for the wonderful giveaway. I have a couple of old pallets and would love to try my hand at diy pallet projects, but lack the tools. Oh the things I could make! I would install beadboard in my master bath! I would love to make a new kitchen table out of a reclaimed door. Our current drill battery will not hold a charge! This new set would be amazing! So many jobs, so little tools....shelves and birdhouses because you just can't have enough of either! Love your blog, your Halloween parties, trips, decorations and your little cutie - those eyes!!!! Making bookshelves. Thanks for the giveaway! I would love my own set of power tools. Fingers are crossed. Too many projects to count!! Maybe we will actual start tackling the board and batten in our family room? Maybe the half bath on the first floor?? WHO KNOWS! I'd help my sister build her new bookcase! What a great project Mrs.  Limestone!!! Since my ex-husband (who doesn't even use them) got all the tools in the divorce, these would come in SO handy! I would use it to hang my curtain rods, and make a couple of bird feeders and bird houses for gifts. My first project would be a simple bedside farm type table. I would tackle a BUNCH of house projects! I've got to build some shelves! These would really help! we are in the process of finishing our basement - this prize would be amazing!! I am a follower of your Blog, but don't always leave a comment. Love, Love, Love the wooden box you made. The first thing I would do if I won, is jump up and down and probably scream. About how not to break them, and put them back when finished with them. Black + Decker tools are great! I use only them in my home improvements. I will probably sand and refinish a piece of furniture! Thanks. The kids' bathroom is the bane of my existence. I would start there! I need to build and install some cornice boxes! This would come in so handy for my door replacement project! We would work on shelving for our computer room. My first project would be shelving and other storage in our tween's room. If I win, I will finally hang my microwave, which requires a fancy drill such as this! Oh what a fantastic giveaway, thank you! I have to agree with the first poster on how you make amazing things seem so doable! I think my first project would be building some kind of dining room table-sized shelter for the feral cats I'm feeding. I only had one cat come around all summer, and when we started getting snow last month, I put a cardboard box with a few blankets underneath an old table out on our front porch, then tossed a huge rug over that. Way too much rambling to say I'd love to have some tools to build them their own little house! First, I would install a mantle above my brick fireplace! If I were to be the lucky winner, I would tackle making a stand to raise our TV up on our dresser so the DVR box can nestle under the TV. More room for a picture frame of my love on my dresser that way! Thank you for the generous giveaway! If I were the lucky winner I would finally convert the broom cupboard next to my stove into a really tall spice cupboard with lots and lots of shelves! My next project will be installing hardwood floors. This would come in very handy! i'd love to make some triangle shelves for our bedroom. 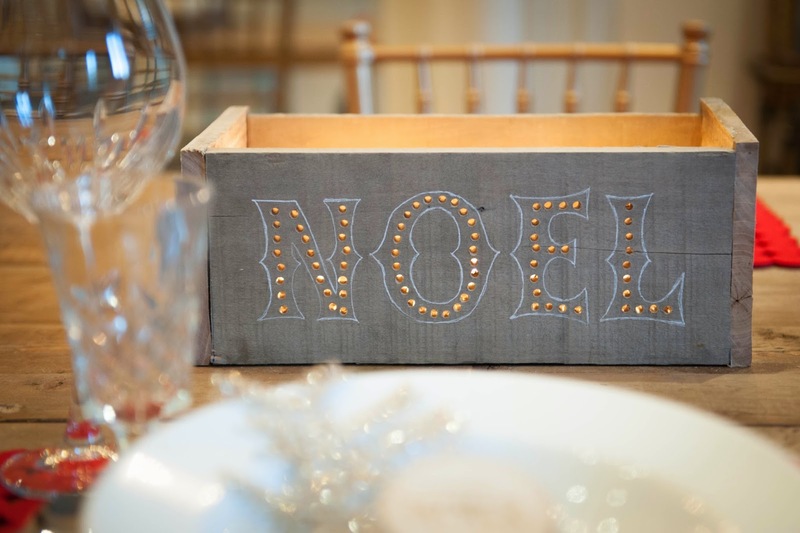 I would try to tackle a beautiful pallet sign I saw on pinterest for my christmas mantel. My next project is building my son a desk for his bedroom! I am in need to fixing some chairs!! I'd love to make shelves for the wacky shaped closet in our nursery. Finishing up our bathroom renovation! I really need new shelving. I'm winning this for my husband! He's loving all things woodworking these days!